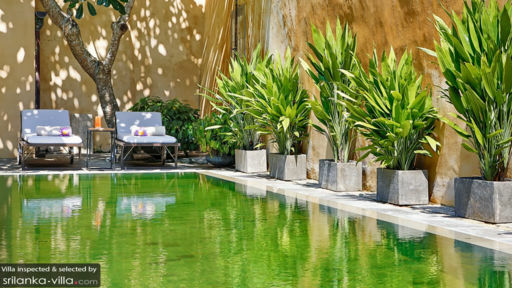 The Fort Printers is a boutique hotel with three buildings – one main and two annexes. Formerly an 18th century mansion which became a college, later converted into a printing press, and now transformed into a hotel, The Fort Printers epitomizes colonial, old-world architecture and contemporary chic. Spacious interiors are appointed with predominantly finely finished, in-vogue wood furnishings accompanied by period fixtures and pieces, as well as adorned with some of the original printing machines. Amenities are discriminately five star – for all-out guest delight and enjoyment. 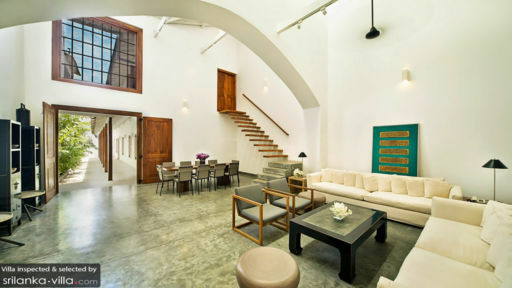 Truly, the Fort Printers affords you stylish vacation living with a historic and quaint ambience. All in all, the hotel has 13 bedrooms. Five of these bedrooms – named after academic subjects and personalities – are in the main building. 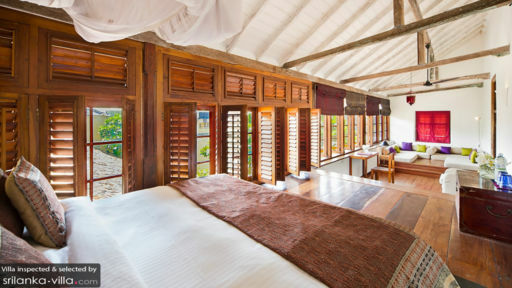 These bedrooms have draped double beds, as well as dedicated bathrooms with rain showers. Although one bathroom also has a free-standing bathtub. The second-level bedrooms – Arts, Geography, History and Headmaster’s – all open out to a furnished, wrap around balcony. While the ground-floor Prefect’s bedroom has direct access to the hotel courtyard. Another five bedrooms are in the hotel’s 41 Church Street annex, and three more bedrooms are in the 54 Pedlar Street annex. These bedrooms all have contemporized, draped, four-post beds, as well as dedicated bathrooms with free-standing bathtubs and rain showers. At the center of the courtyard is the hotel swimming pool. Give in to its beckoning, glassy waters for some aimless wading, or for some splashy fun and games. For some sun, you can lie on cushioned pool beds under the trees at the far end of the swimming pool. On the main building’s high-ceilinged ground level is the common living area. Around its sofas, you can all converge for moments of family and friendly bonding. There are two dining areas – the indoor dining area and the alfresco, courtyard dining area where you can all have your fill of Sri Lankan curries, grilled fresh seafood, organic local produce as well as Mediterranean specialties freshly cooked by the hotel chefs. The hotel annexes also have sitting and dining areas, as well as mini libraries. In charge of carrying out the day-to-day services of the hotel is an efficient staff headed by two managers backed by two chefs and housekeepers. The Fort Printers hotel is located in Galle Fort – a 16th century Dutch fort which has the distinction of being a UNESCO World Heritage Site. From the hotel, you can spend the day at nearby beaches which are teeming with marine life. You can also go see traditional Sri Lankan villages and temples, as well as go nature tripping at rainforests, gem mines and tea plantations.